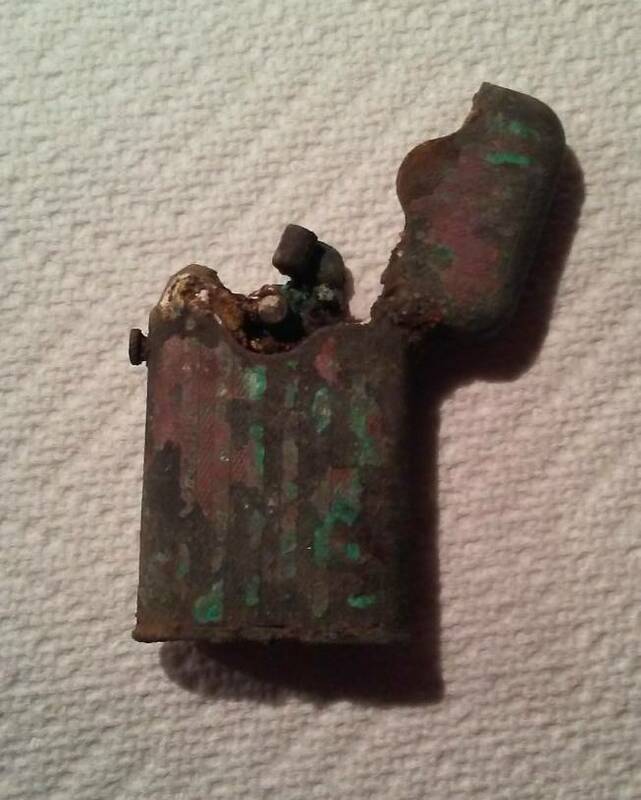 Found this lighter about 3 weeks ago.. Noticed the lid had an odd shape to it.. Then threw it in my trash pouch.. Forgot about it.. I always look through my trash after a hunt. 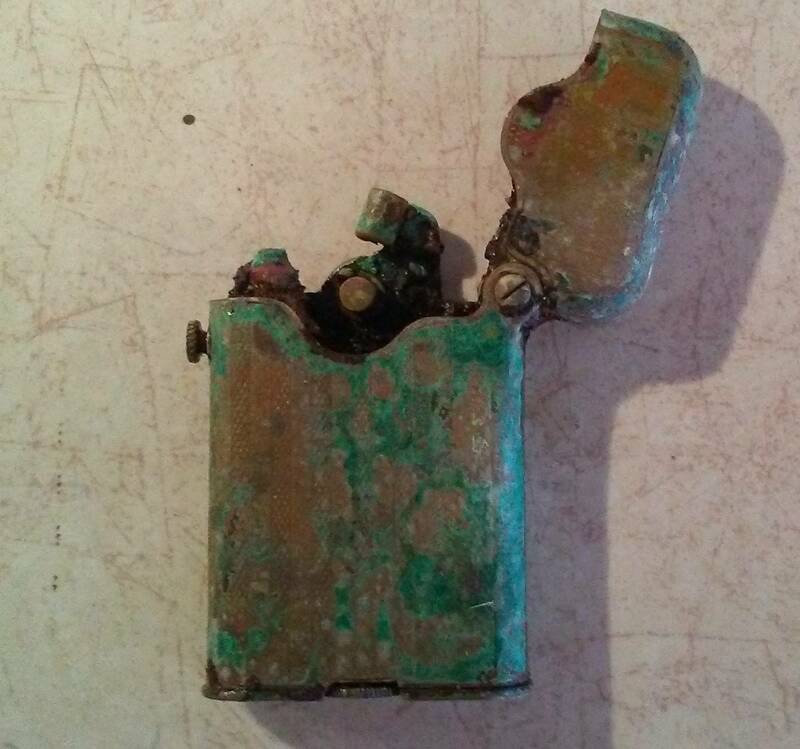 Because I have found things- that first looked like trash-- that we're not .So I pick up the lighter and look at it .. Could just toss it in some vinegar for a few days and see what it looks like--- or throw it away ? Tossed it in some vinegar. After a few days it looked like this.Looked it up on EBAY by the maker.. One just sold on EBAY in working condition for $810... Figured it outa still have some value to a collector in non working condition. 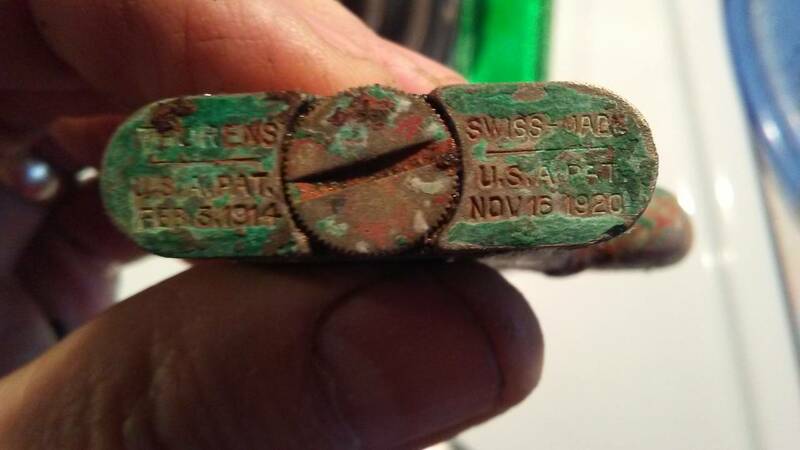 So I cleaned it up as good as I could and put it on EBAY for a 10 day auction.. Auction ended yesterday...Turns out to be the most valuable item I've ever found in 8+ years of detecting...and I almost threw it away!!! Tony AZ.. Yes, always re-check your trash. Congrats! Further proof that an items worth really is what someone is willing to pay. I wouldn't have thought it would be that much either but then again I'm not a lighter collector. That's insane! Nice save and glad you made some money. Wow thats crazy! Never would have thought...but then again you could probably sell a bag of lint on ebay, theres always somebody looking for something. Congrats on a great find. Now that is a cool story. I guarantee you that I would have thrown it in the garbage. GREAT sale of what I DEFINITELY would have dumped in the first garbage can I saw. Maybe I should start holding on to those odd items I consider junk. Like they say...One man's trash is another man's treasure ! 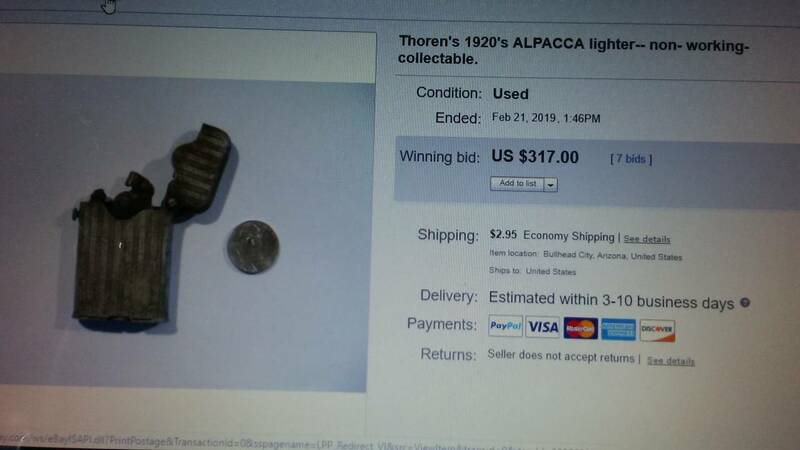 I have my father's Thoren's lighter he carried through WWII. It is inscribed with his units name and his initials. About my most precious keepsake!! Absolutely amazing sale, TonyAZ! I probably would have researched it too, but I never would have bothered trying to sell it - no way I would have guessed it would go for that much!! Gonna have to rethink my "worthless" items! Unreal! Thanks for posting this. I don't hope to ever dig one of those, but one could surface at a thrift sale or something. Now I know something of value that I didn't know before. Congrats on that unique find! Nice, happy you didn't toss it. For some reason I have a hard time tossing anything away. Welp, time to go through my 20 buckets of saved junk. Nice find!